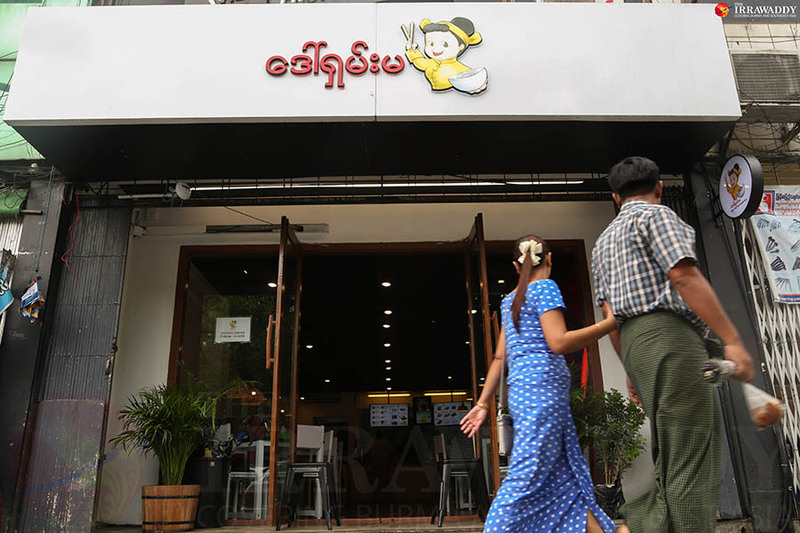 Opened last month, Daw Shan Ma is proving a popular local haunt serving up hearty and authentic Shan State street fare in a snazzy fast-food setting. 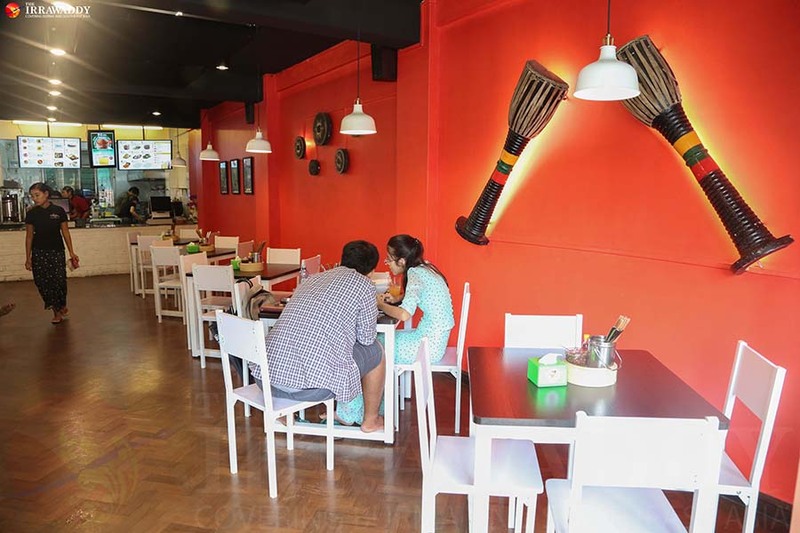 The clean bright restaurant with an open kitchen was opened by partners Ma Su Su Htwe and Jessica Spanton on the far eastern end of Bogyoke Road in a quiet Pazundaung Township neighborhood. The menu features family recipes from across the state as well as a number of innovative items. Su Su, a native of Taunggyi, told The Irrawaddy she wanted Daw Shan Ma to fill the gap between dubious quality street side Shan noodle stalls and upmarket restaurants. 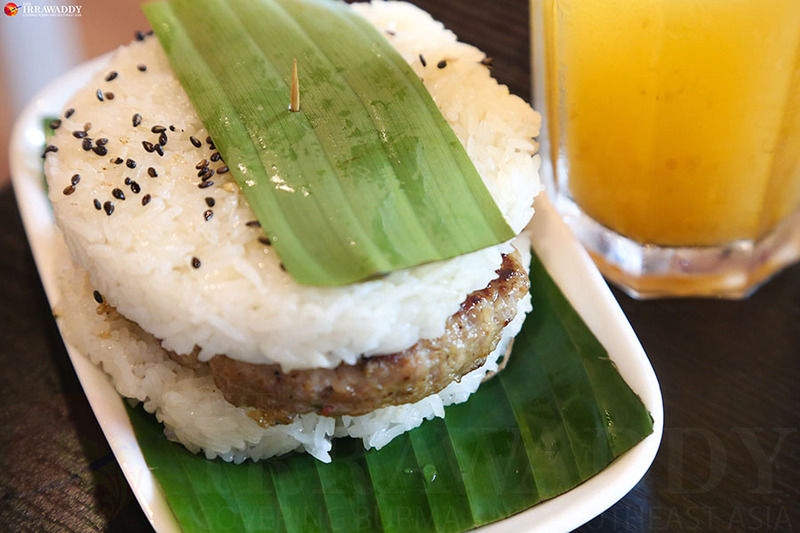 “I wanted Daw Shan Ma to serve good Shan food, in a clean, modern setting, but stay true to the flavors and street-food style of an Aunty making it right in front of you,” she said. The most popular dish on the menu, according to Jessica, is the classic Shan Noodles served with chicken, pork, or vegetables. Key to the dishes’ authenticity and full flavor are the restaurant’s sourcing of some ingredients from Shan State. Those characteristically springy noodles are imported from Taunggyi, though the pair did toy with the idea of using their own noodle maker. 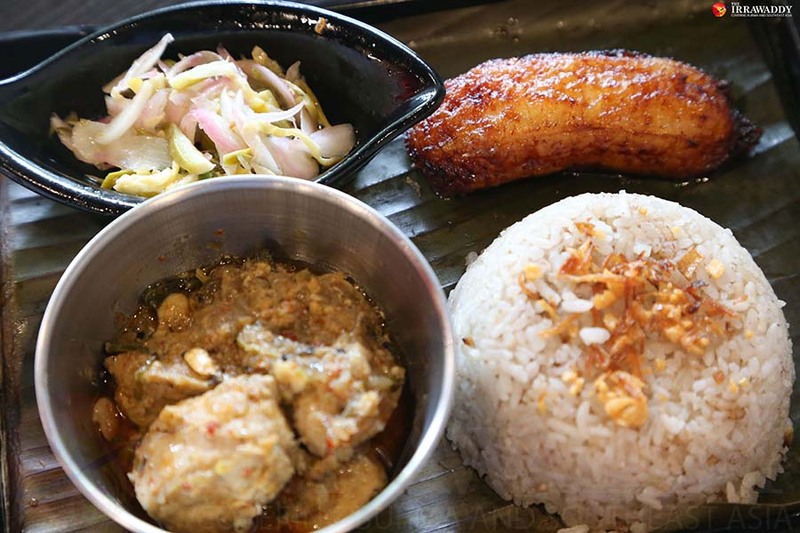 The restaurant’s Hinn Htoke (chicken and spring onions steamed in banana leaf) is made using ingredients sourced from Inle Lake in southwestern Shan State. The local “moe kha” spring onions are particularly important, according to Su Su, as they have a very different flavor to the Yangon variety. Peanut Tofu Nway is another of the restaurant’s specialties. Su Su came across the recipe in Kengtung when she was learning how to make Tofu Nway from her aunt. It’s silky, rich, creamy—perfect for a wet Yangon day. The chicken curry and coconut rice is another favorite family recipe. The highlight of a concise drinks menu of Burmese teas, wine, beer, and Milo is the salted plum juice—a refreshing medley of the tart, the sweet, and the salty.